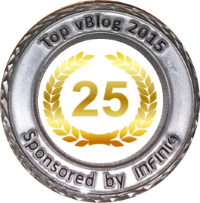 The Top 25 of the Top vBlog 2015 results are in. VMGuru on #25. We made it once again to the top 25. Thanks to our supports! This year there were +2.200 votes compared to the 1.400 from last year. Also the total number of blogs on the list increased from 320 to a whopping 411 blogs to choose from, even after Eric Siebert archived the MIA blogs. 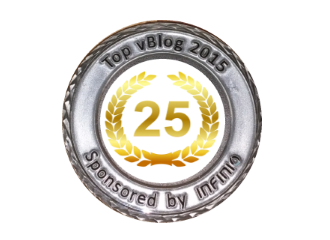 There were over 90 new blogs in the Top vBlog 2015 and 4 new blogs made it into the top 25. 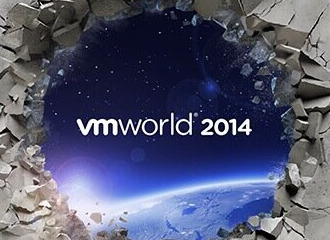 The enormous number of VMware blogs makes it so much tougher to get in the top 25. So we are very honored and proud that we made it once again to the top 25! We appreciate your votes and ongoing support and want to thank all who voted for us!! !